ARE YOU BEING CONTACTED BY RESURGENT CAPITAL SERVICES? Resurgent Capital Services manages domestic and international consumer debt portfolios, and is based out of Greenville, South Carolina and Cincinnati, Ohio. 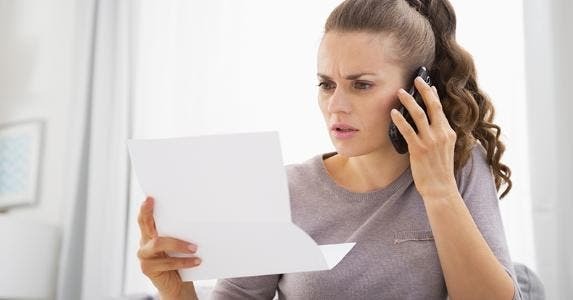 This collection agency has allegedly unfairly harassed consumers in the past, and may have used any of the following phone numbers to try and collect your debt. (866) 205-5424, (866) 205-6306, (866) 720-1471, (888) 411-4684, (866) 205-6620, (800) 463-9480, (866) 352-0237, (866) 206-9770, (866) 464-1183, (866) 206-9797, (800) 748-8670, (716) 656-6940, (800) 727-3593, (877) 795-7003, (866) 205-2576,(800) 767-7895, (646) 352-9801, (678) 518-2062, (877) 893-2497, (386) 233-3694, (713) 784-9966. Many others just like you are falling into debt everyday because of unforeseen circumstances that just put too much stress on their finances. Car accidents can happen, leading to legal fees, car repair fees, and medical expenses. A death in the family can also put undue stress on your bank account. Whatever caused your debt we know that you are doing your best to work your way out of it. Sometimes it takes time to get back to a place where you are capable of paying off your debt. Call you using an autodialer machine after they have been told not to. Discuss your debt with anyone other than your spouse. Threaten you with jail time if you do not pay your debt. If you believe that your rights have been violated you should contact an attorney to set up a free consultation. With a good case you could be entitled to up to $1,000 in statutory damages as well as payment of your attorney’s fees.